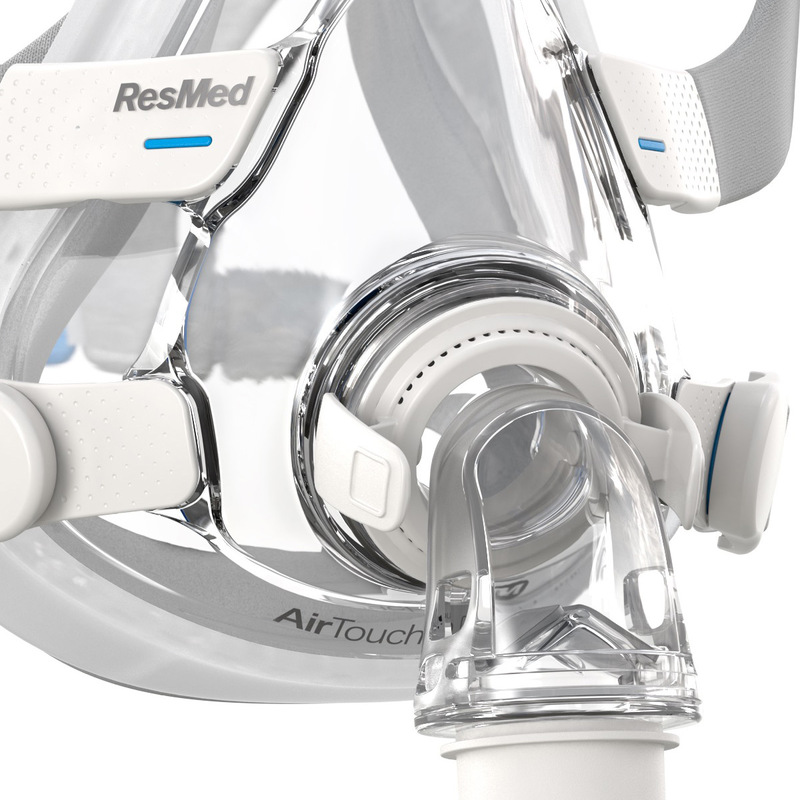 Unlike any masks that have come before, ResMed's AirTouch F20 & AirTouch F20 For Her feature proprietary UltraSoft Memory Foam Cushions. Light and breathable UltraSoft cushions blend comfort and performance to provide a perfect seal across a wide range of facial profiles. 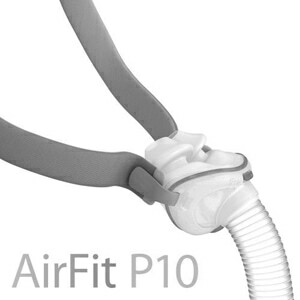 Plush F20 Headgear is included for a soft, stable fit and ingeniously simple magnetic clips make the AirTouch F20 delightfully easy to use. AirTouch's ultra-soft cushion is paired with a soft, flexible frame that includes integrated padding. 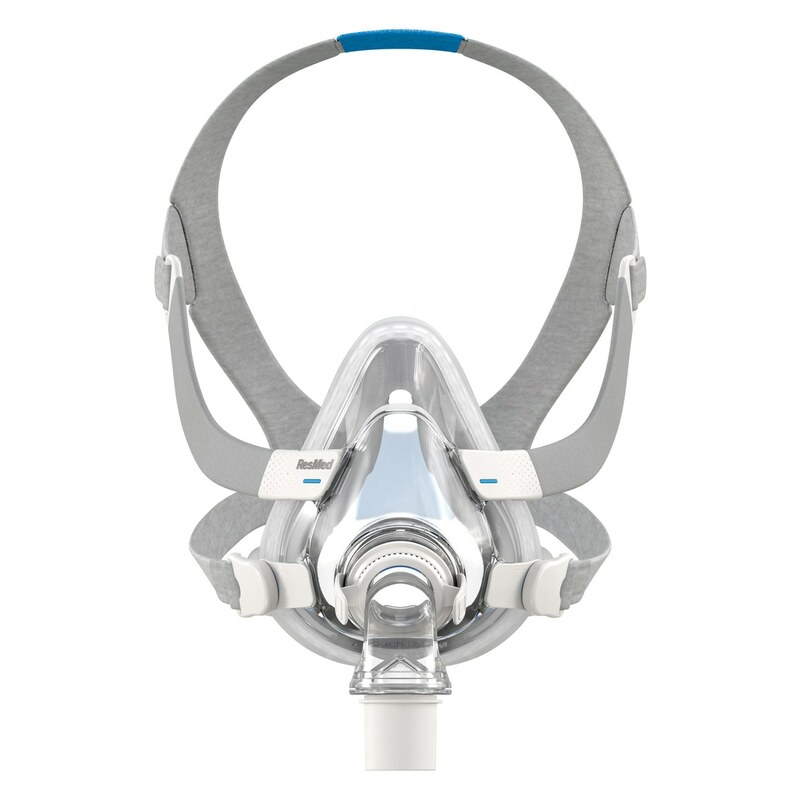 The result is a mask that comfortably moves with you and provides a reliable seal throughout the night, even at the highest pressures, regardless of sleep position. 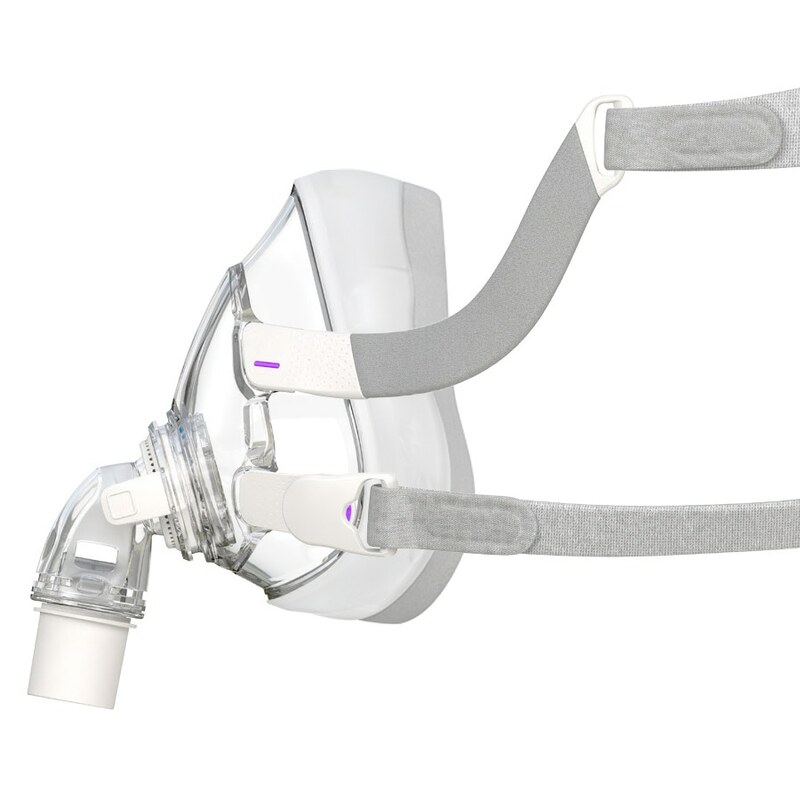 Premium plush headgear is included, with blue or lavender highlights, for a complete, comfortable, lightweight full face mask solution. Intelligent Enhancements for Men & Women: The AirTouch F20 is available with different cushion and headgear sizes to fit a wide range of men's and women's faces. Plush F20 Headgear is available with lavender or blue highlights to match your personal style. Sleek, Soft Frame with an Open Field of Vision: With a frame that flexes naturally to fit each individual user, the AirTouch F20 minimizes facial contact, providing stability, and an unrestricted field of vision, without any facial contact above the eyes. 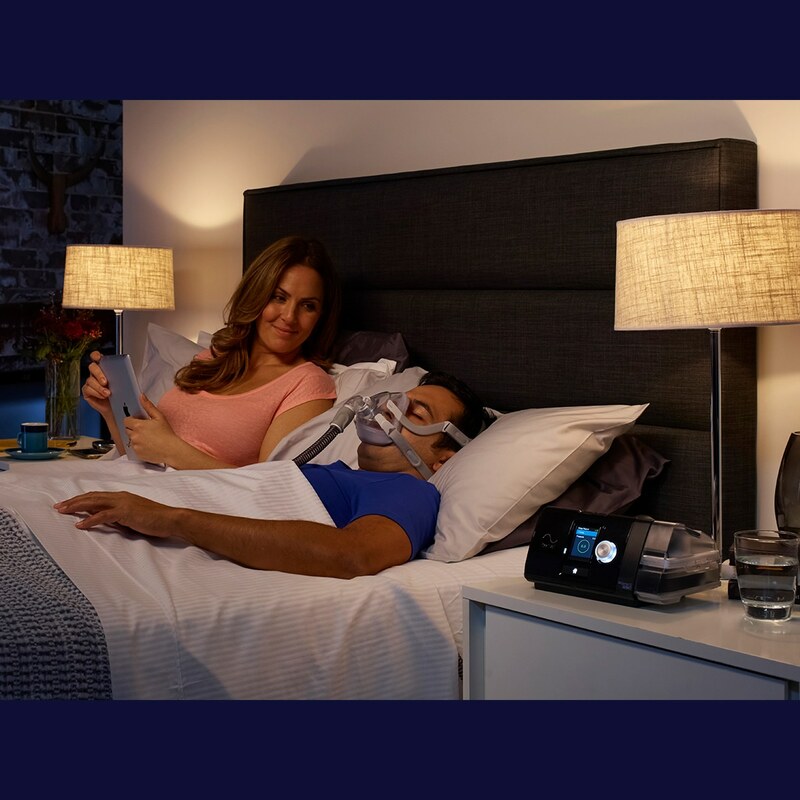 Integrated padding within the frame adds softness so you can read, watch TV and enjoy your nighttime routine without worrying about pinching, red marks, or pressure from your mask. Ultra Soft Memory Foam Full Face Cushion: AirTouch F20's UltraSoft Full Face Cushion is ResMed's softest ever. UltraSoft cushions feature lightweight, breathable memory foam delivering unprecedented comfort and a light, breathable seal -- even at high pressures. UltraSoft cushions are much more adaptable to facial features than traditional silicone cushions; and they're breathable so the cushion feels more natural on the face. Three cushion sizes are available -- Small, Medium and Large -- to fit a wide range of users. AirTouch UltraSoft cushions should not be cleaned like traditional silicone cushions, instead they should be wiped down daily with a mask cleaning wipe and then replaced after 30 days of use. For full usage instructions please review the user manual that came with your mask. Premium Plush Headgear with Magnetic Clips: AirTouch F20's Plush Headgear is specifically designed for extra softness and stability. The rolled-edge fabric is designed to be worn loosely to allow the mask cushion to adapt to your facial contours. Magnetic clips on the lower straps guide the headgear to the frame so it is quick and easy to put on and take off. 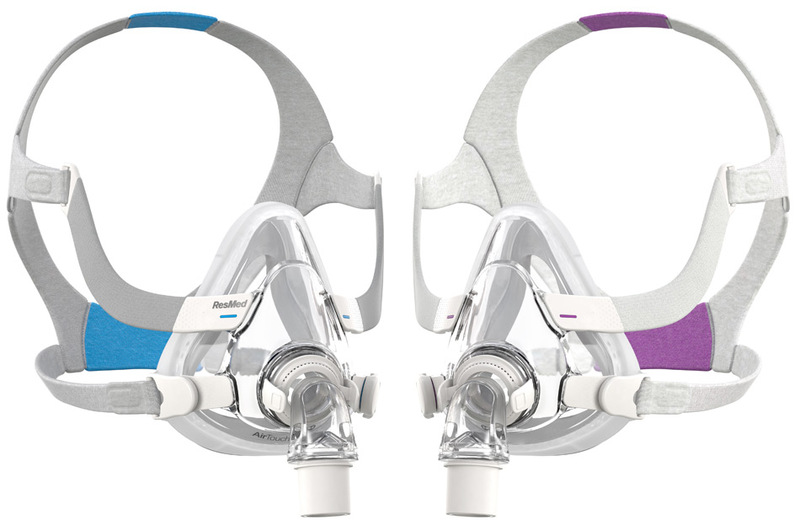 All AirTouch F20 masks come with Standard Headgear with blue highlights; and all AirTouch F20 For Her masks come with Small Headgear with lavender highlights. 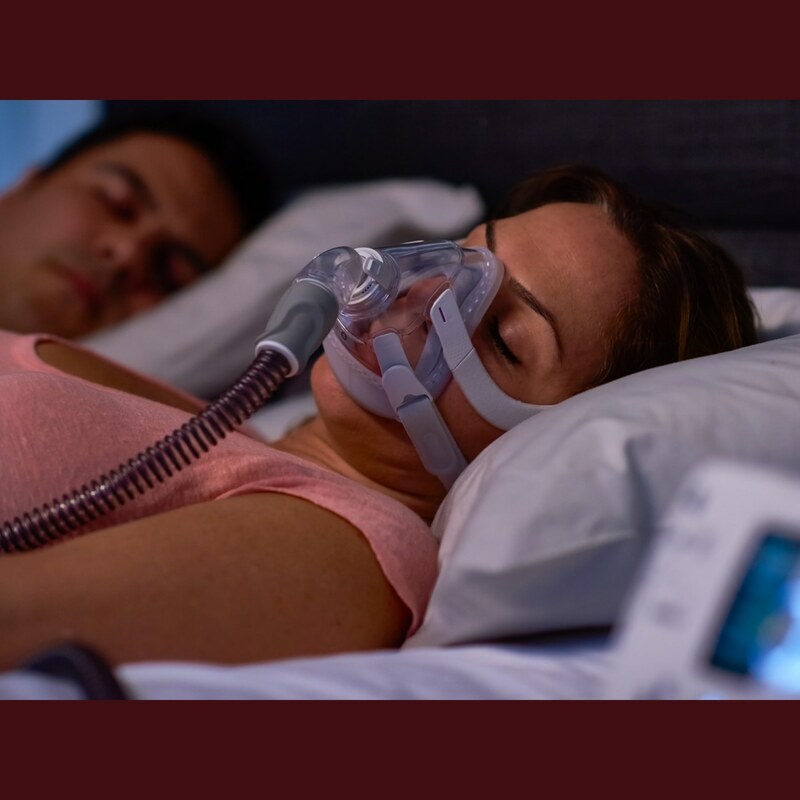 Advanced QuietAir Diffuser Elbow: AirTouch F20 masks feature ResMed's QuietAir Elbow with almost silent air dispersion and a more gentle exhaust airflow than ever before so everyone can enjoy a quiet, comfortable night's sleep. F20's elbow also features quick release squeeze-tabs so it's easy to detach with one hand at night; and it rotates 360° with an independent tube swivel to reduce tubing drag and resistance. Switch it Up With AirTouch & AirFit F20! 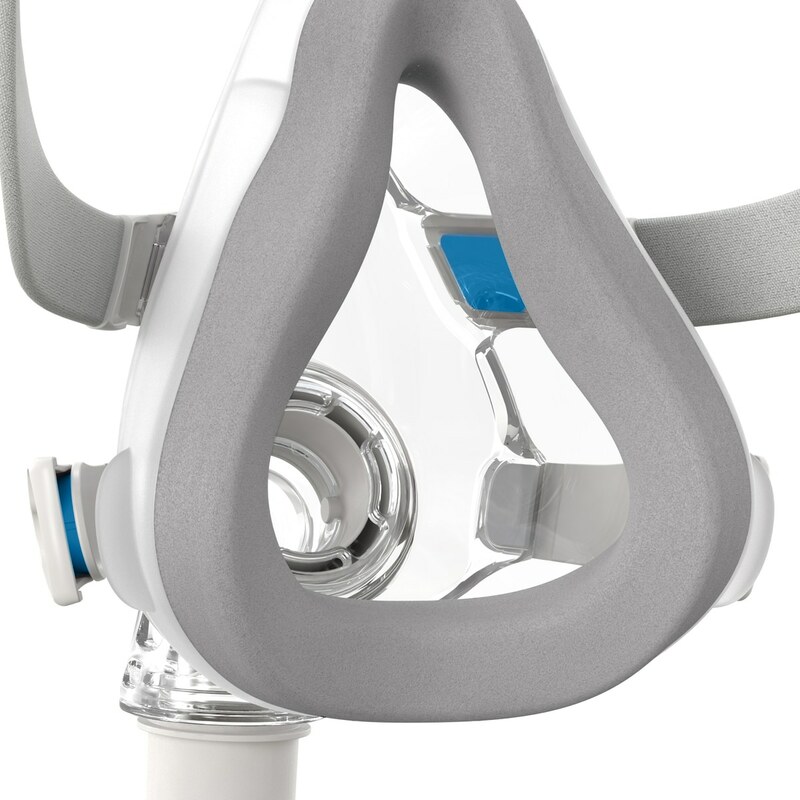 AirTouch F20 & AirFit F20 masks are built around the same flexible, padded frame and headgear so all of the cushions and parts on both masks are completely interchangeable. Easy and convenient AirTouch F20 & AirFit F20 let you switch it up so your sleep therapy always fits your current mood. 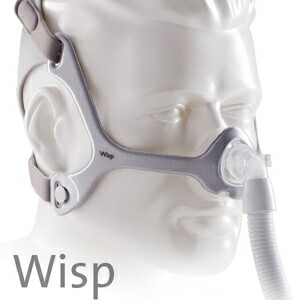 Cpap xchange is awesome the mask works well but I purchased the wrong size. According to the measurement chart O should have a large but the medium fits much better. This full face mask fits me perfectly. I love the foam cushion seal - it allows me to sleep on my side and not lose pressure because it molds to the contours of my face. I'm a mouth breather, most of the time and I find this style to be the best for my sleep style. If you're a drooler, you'll need to replace it when the foam gets funky - that's the only down side. The headgear is adaptable and comes in different sizes. Then you can adjust the snugness around your nose with the cheek straps and the same with the jaw straps. The latter is magnetic, so it's easy on and easy off. I started with a fabric style mask that had a nose compartment and a mouth compartment and in between was material that would agitate the area between my upper lip and nose. I like this one so much better! I highly recommend it! Best thing invented since sliced bread. 10 years of looking are over. This mask is near perfect! 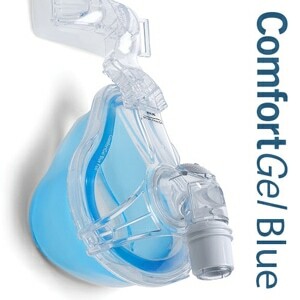 Comfortable , no leaks , easy to put on and take off ...it is a dream come true! The mask itself is AMAZING and I wouldn't go back to another. The sizing is way off. I wear a small "everything" and this seemed made in a youth size. The medium sits above my eyebrows in between. Again, the mask is AWESOME but it should say in the description that it's sized different. 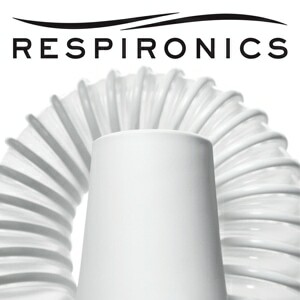 My purchase experience is great with CPAP xchange, I have boughten many things from them and they are great. 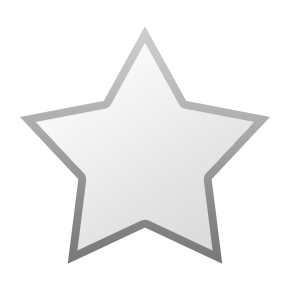 Their phone staff is wonderful and accommodating, no complaints whatsoever. 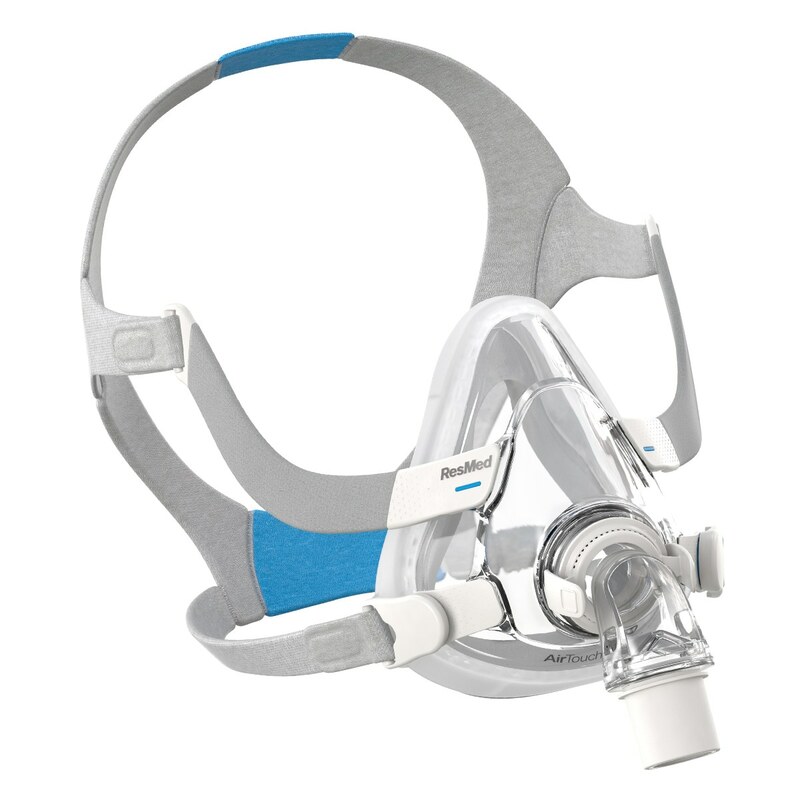 The AirTouch™ F20 Full Face CPAP/BiLevel Mask with Headgear is a very nice mask. Hopefully, the memory foam will last longer than Resmed says it will last, that, if anything, is the one downside, but I bought the regular silicone cushion for it, so things should work out with it. The mask fits me very well and is quite comfortable. I have very high pressures. The auto machine I have records 90% pressures as 23-24. This mask has few leaks even at these pressures. I am also a side sleeper and the mask works well. It does leave marks because I have to cinch it tight. My big objection is the cost of the replacement cushion which is only supposed to last a month. My insurance covers nothing. I tried the pad a cheek cover which is supposed to help keep the foam lasting longer but it caused it to leak too much. Comfortable, great seal. Minimized face lines which was a "BIG DEAL" to me. If it was only comfort that mattered, this mask would be a 5. However, daily cleaning is also an issue and this mask is quite annoying to clean, if you actually want to get everything clean. I've been using the Hans-Rudolph 7600 v2 mask for several years now and have generally liked it very much. I prefer the way the mask balances on the chin. However I recently started having some issues with acne on my chin and wondered if perhaps a different mask would make a difference. 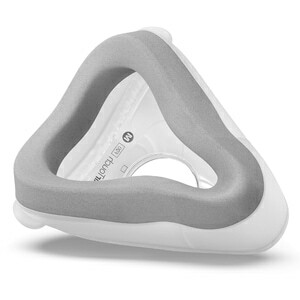 So when I saw this mask had come out with a new memory foam interface instead of silicone I thought I'd give it a try.